Planning a trip to Wales anytime soon? If so, put the town of Monmouth on your itinerary and be sure to bring your phone. On May 19, Monmouth officially becomes the world’s first Wikipedia Town and you’ll need your handset with you to understand why. 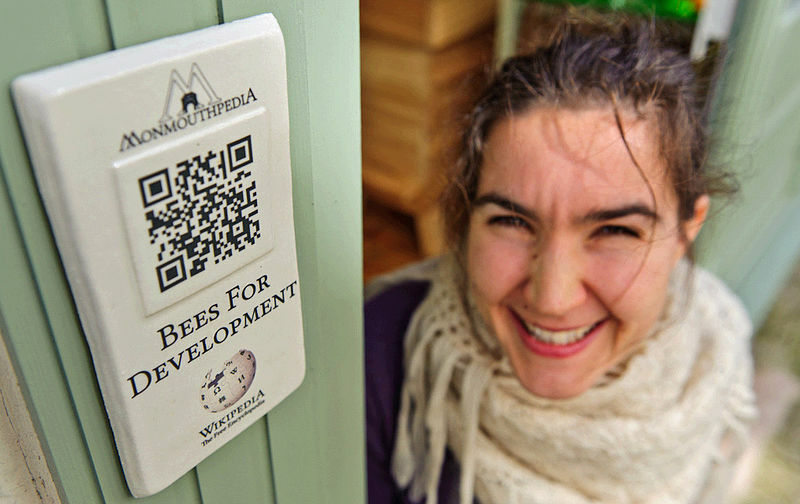 The Next Web explains that Monmouth has spent the last six months wiring up the entire city with free Wi-Fi while also mounting up to 1,000 plaques on notable places, artifacts and fauna in town, each with a scannable QR code that opens up a relevant Wikipedia page in one of several languages. Larger ceramic or metal plaques for places exposed to the elements for articles specific to Monmouth. Smaller plastic, ceramic or metal plaques for labelling objects non specific to Monmouth, e.g. for use in the Flora and Fauna guide. Labels for use inside buildings, e.g. for objects in museums. In addition there will be information posters, signs, notice boards and leaflets to help people contribute and stay informed. The viewable information in Monmouthpedia, as the project is dubbed, will grow over time as local residents and others contribute more data, stories, images and such. And it doesn’t matter what language you speak in order to understand your tour of Monmouth: Wikipedia entries will appear in the native language your handset is configured for. Monmouthpedia sounds like it has something to offer everyone, but archeologist fans ought to be especially interested: The Council for British Archaeology designated Monmouth the seventh best town for archaeology in Britain. Who’d have thought that free Wi-Fi and a cell phone would allow for an immersive archeological experience followed shortly by a pint of local ale with history of the bar?